Groundwater is our invisible, vital resource—more than 75 billion gallons are pumped each day, and 155 million people rely on groundwater for drinking water. Although groundwater is a safe, reliable source of drinking water for millions of people nationwide, high concentrations of some chemical constituents can pose potential human-health concerns. Some of these contaminants come from the rocks and sediments of the aquifers themselves, and others are chemicals that we use in agriculture, industry, and day-to-day life. When groundwater supplies are contaminated, millions of dollars can be required for treatment so that the supplies can be usable. Contaminants in groundwater can also affect the health of our streams and valuable coastal waters. By knowing where contaminants occur in groundwater, what factors control contaminant concentrations, and what kinds of changes in groundwater quality might be expected in the future, we can ensure the availability and quality of this vital natural resource in the future. 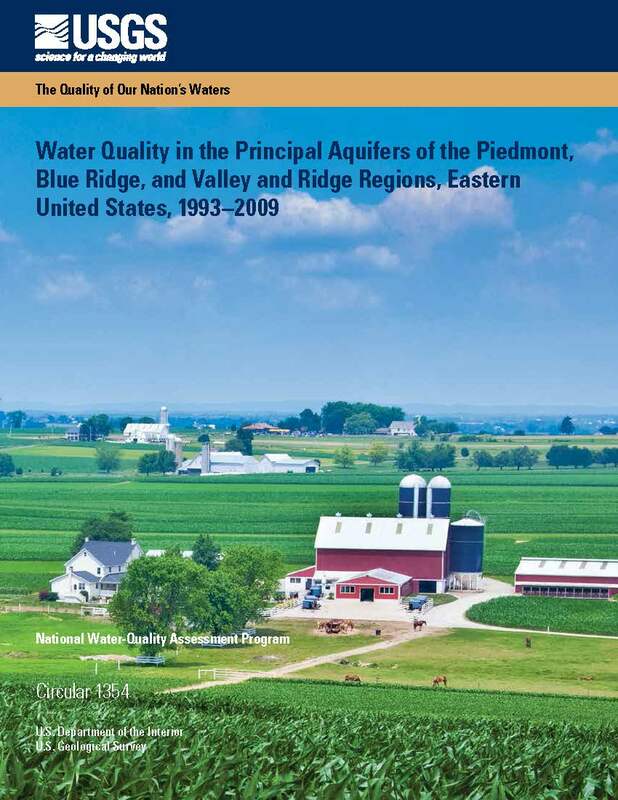 Based on thousands of samples collected from 1991 to 2010, the National Water-Quality Assessment Project has created informative circulars on water quality and the factors that affect it for each of nine regions, comprising 20 Principal Aquifers—regionally extensive aquifers that supply groundwater for drinking, irrigation, and other uses. The results for the Nation are summarized in a single circular. Samples were collected from 6,600 public-supply, domestic (private), and monitoring wells, and analyzed for a wide range of contaminants and constituents, including pesticides, nutrients, and radionuclides. 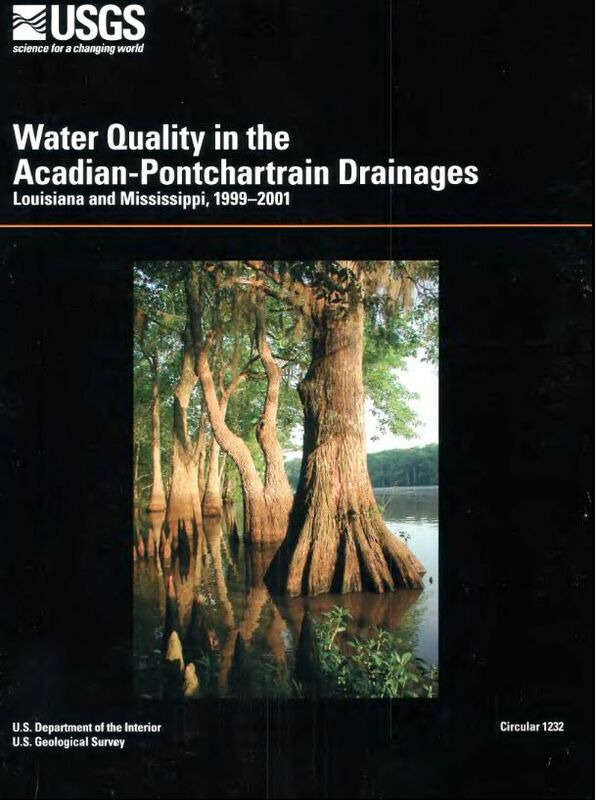 Explanations of the findings presented in these circulars improve our understanding of the natural and human factors that affect the occurrence of contaminants in the Nation’s groundwater. 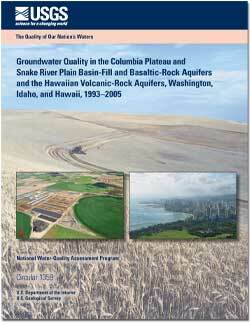 Learn more about USGS research on groundwater. 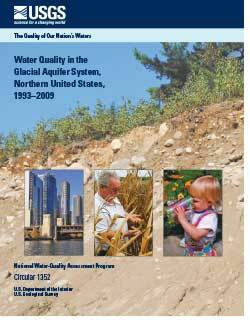 Our actions today are determining groundwater quality for decades to come. 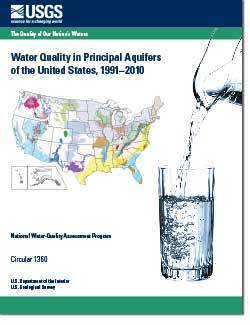 Click on the "Related Science" tab to find out more about our Nation's groundwater quality. 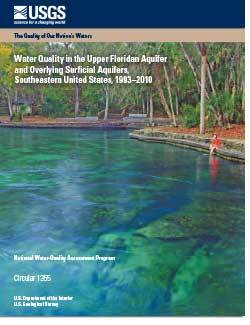 Follow the links below to the web pages below to learn about more USGS science on groundwater quality. 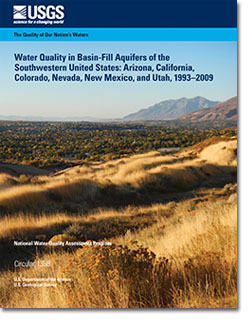 Full-color circulars are available for each of the nine Principal Aquifers as well as one that summarizes results for the Nation. Each circular describes the quality of the groundwater in that aquifer and the natural processes and human activities that affect it. 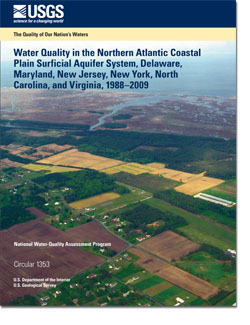 Fischer, Jeffrey M.; Riva-Murray, Karen; Hickman, R. Edward; Chichester, Douglas C.; Brightbill, Robin A.; Romanok, Kristin M.; Bilger, Michael D.
Water Quality in the Delaware River Basin, Pennsylvania, New Jersey, New York, and Delaware, 1998-2001; 2004; CIR; 1227; Fischer, Jeffrey M.; Riva-Murray, Karen; Hickman, R. Edward; Chichester, Douglas C.; Brightbill, Robin A.; Romanok, Kristin M.; Bilger, Michael D.
Waddell, Kidd M.; Gerner, Steven J.; Thiros, Susan A.; Giddings, Elise M.; Baskin, Robert L.; Cederberg, Jay R.; Albano, Christine M.
Water Quality in the Great Salt Lake Basins, Utah, Idaho, and Wyoming, 1998-2001; 2004; CIR; 1236; Waddell, Kidd M.; Gerner, Steven J.; Thiros, Susan A.; Giddings, Elise M.; Baskin, Robert L.; Cederberg, Jay R.; Albano, Christine M.
Groschen, George E.; Arnold, Terri L.; Harris, Mitchell A.; Dupre, David H.; Fitzpatrick, Faith A.; Scudder, Barbara C.; Morrow, William S.; Terrio, Paul J.; Warner, Kelly L.; Murphy, Elizabeth A. 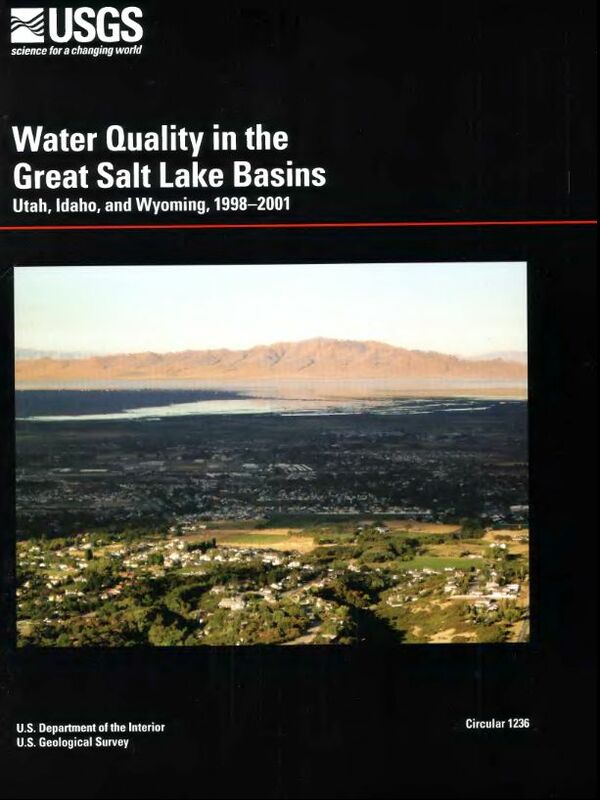 Water Quality in the Upper Illinois River Basin Illinois, Indiana, and Wisconsin, 1999-2001; 2004; CIR; 1230; Groschen, George E.; Arnold, Terri L.; Harris, Mitchell A.; Dupre, David H.; Fitzpatrick, Faith A.; Scudder, Barbara C.; Morrow, William S., Jr.; Terrio, Paul J.; Warner, Kelly L.; Murphy, Elizabeth A. Below are data or web applications associated with groundwater quality. 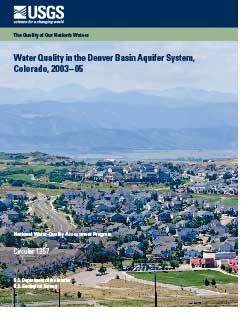 Below are map products associated with groundwater quality. About 115 million people—more than one-third of the Nation’s population—rely on groundwater for drinking water. As the Nation’s population grows, the need for high-quality drinking-water supplies becomes even more urgent.